In October 2018, Grab raised US$200 million to expand its fintech offerings. That means it’s no longer just a ride-hailing service: it is now one of Southeast Asia’s largest non-bank financial firms, offering payments, microloans, and other services. In fact, it handles more than 1 billion financial transactionsevery year. Grab is not the only one branching out into fintech. Other companies, including fellow Southeast Asian ride-hailing service Go-Jek and international ecommerce giants like Alibaba and Amazon, have moved into the space as well. What’s the secret to fintech’s appeal? On one hand, there’s the vast numbers of unbanked people in the world, which represent a ready-made user base for innovative financial products. On the other, there’s also the vulnerability of the business models of existing payment networks like Visa and Mastercard, whose cumbersome transaction fees increase prices and potentially slow down innovation. But the main appeal of fintech is the opportunity to collect and analyze customer data. Fintech is literally where the money is, and knowing how consumers spend it points companies to potential profit pools. By data mining through fintech, companies can get a better understanding of customers’ wants and needs. They can use those insights to launch new products or hone existing ones. They can also sell data to third parties, opening up entirely new revenue streams. Fintech is becoming a data industry. 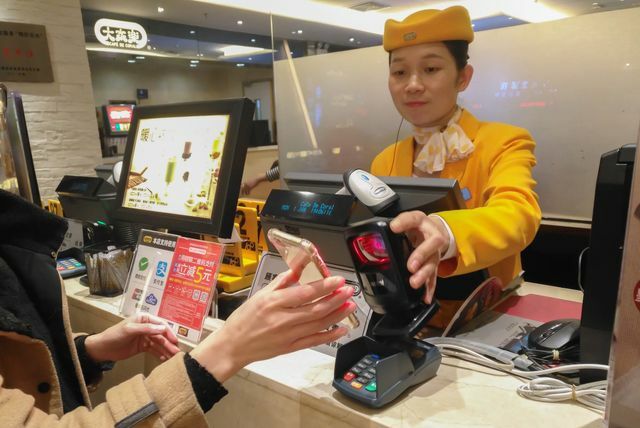 Alibaba’s Ant Financial is the largest fintech firm in the world, but Yuan (Alan) Qi, its vice president and chief data scientist, thinks the term “fintech” doesn’t aptly describe the company anymore. He said it might be more appropriate to call Ant Financial a “techfin” company instead, given its intense research focus on AI. The market and investors seem to have resoundingly approved this approach. Ant Financial has posted more than 65 percent growth in pretax profit in the recent fiscal years. It has also obtained an extraordinary US$14 billion in a series C round to drive its global expansion and further its data collection. However, the real growth in this sector may come from the possibility of combining financial information with other types of data. Let’s look at Southeast Asia as an example. Startups have already amassed more data on Southeast Asian citizens and their habits than any census could provide because they offer convenient services for free or at a nominal fee. As competition for markets and customers reaches a stalemate, Southeast Asian unicorns – including Grab, Go-Jek, Razor, and Sea – have expanded their payment options and absorbed fintech companies, specifically payments companies. The top-level competitors have stretched into new other areas like on-demand beauty services and grocery deliveries. But payment technology has been an emphasis for these major players. This is because every service ends with a transaction and broadens the amount of information that can be collected. For example, Go-Jek and Grab can now paint a vivid picture of users’ movements, schedules, and even financial habits. This opens doors for new products and services. Grab CEO Anthony Tan has spoken openly of Grab’s plans to use information collected through their fintech products to create alternative credit ratings, which could then be tied to banking products. Go-Jek has also made the leap into credit: its partner Findaya started testing a credit option that allows users to repay at a later date. Venturing into fintech also positions companies to expand their understanding of customers and improve their non-financial products and services. For example, Sea cleverly leveraged its successful gaming brand Garena to target the fast-growing market of gamers for their ecommerce services. You can bet that it is also feeding back the data mined from its ecommerce platforms to serve users relevant in-game advertising. Finally, tech companies that go into fintech can open up new revenue streams by selling information to third parties. Even if startups have a niche or small group of customers, the data will be valuable to other players in the market. While the data-mining approach in fintech is exciting, hurdles remain. Monetizing through data and analytics is more complex than charging a transaction fee, like Visa and Mastercard do. Data can be worthless if not analyzed effectively or if the insights aren’t put to use. As such, companies that turn to data mining should plan to invest in serious tech and business talent to make sure the strategy reaches its full potential. Fintech may seem to be shifting away from its roots in payments to become a data industry. But this shift actually focuses on the most fundamental principle of commerce: the fact that companies must understand their customers in order to serve them better. Privacy advocates, especially in Europe and the US, may push back on some data collection techniques. But in the long term, most users will accept increased data mining as long as it leads to better products and services and cost efficiency. The takeaway for entrepreneurs is clear. If you want to build a successful fintech app today, it won’t be enough to facilitate seamless transactions. From the very beginning, you must have a vision for what kind of data your app will collect and how that data will be used. Likewise, mature tech startups should be thinking about whether a fintech play makes sense for them. Fintech companies and startups that pivot toward data collection will lead tomorrow’s businesses. The record-breaking investment rounds are only the beginning. Once the value of this data is more roundly understood, those who missed the boat will either buy the information or perish from their inability to intuit customers’ needs. The next big thing in fintech isn’t mobile payments – it’s data.